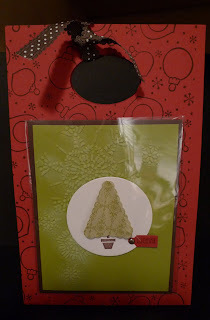 Karina's Kreations: Christmas Gift Bag! Do you like my matching bag that goes with the card? It will make a great gift! 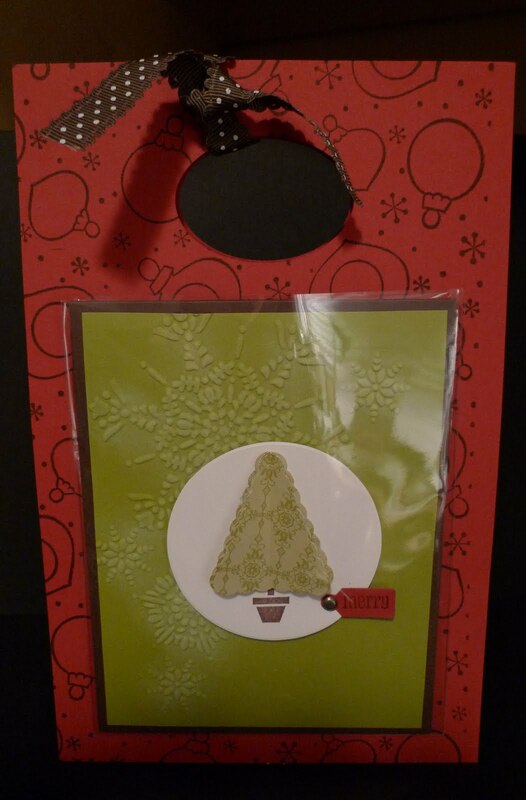 The card fits into a clear envelope that's attached to the front of the bag. We sell 50 clear envelopes for $5.95. It's a great deal! My bag is made with two pieces of 5-1/2" x 8-1/2" Riding Hood Red card stock. I used the Sparkle & Shine jumbo wheel and Chocolate Chip ink to create the pattern. I made the handles with the Extra Large Oval Punch. 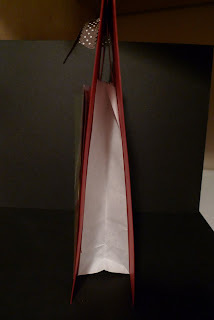 The card stock was attached to a mini lunch bag that I got from a stationary store. Do you like it? I hope I have inspired you to make your own gift bags.